As a record number of Central American migrants were apprehended by Customs and Border Protection along the southern border this week, a rare bipartisan effort in San Diego led to a shelter opening for asylum-seekers inside a courthouse that was once slated for demolition. 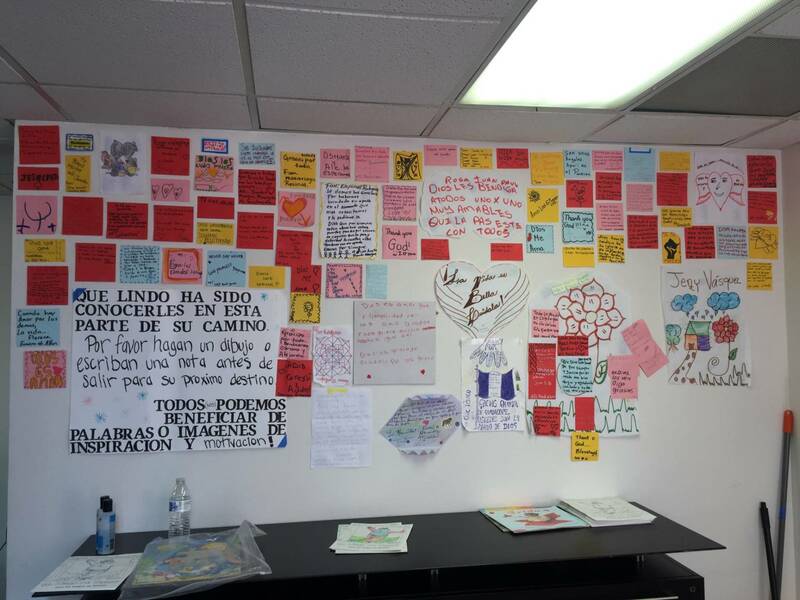 The new shelter replaces a series of ad hoc spaces that had been cobbled together by the San Diego Rapid Response Network, a coalition of community groups that formed in 2017 to help support the immigrant community in San Diego. The shelter clothes, feeds, and provides medical care for hundreds of families per week with funds from the state as well as private donors. Most stay only a night or two at the shelter before traveling to live with family or friends. In October, Immigration and Customs Enforcement ended a program where the agency helped asylum-seekers being released from custody arrange travel inside the country. As a result, migrant families are released from custody to the streets with nowhere to stay in the short term. 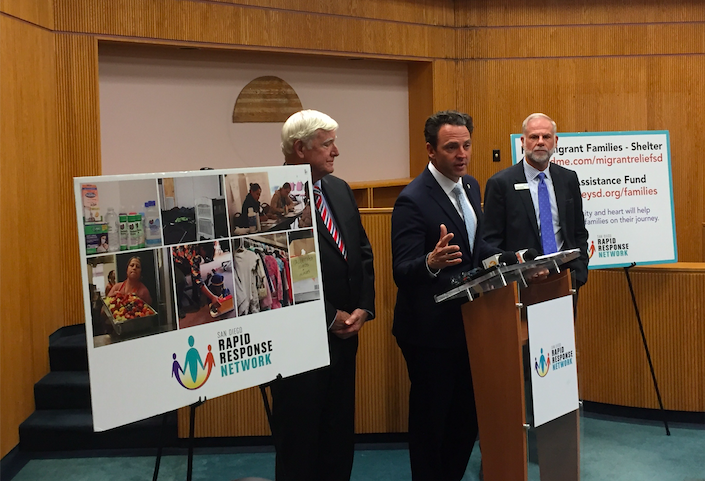 The San Diego Rapid Response Network has been helping to manage the fallout of this decision. By the end of last year, the coalition was running out of money and desperate for a permanent location for the shelter. That’s when local politicians stepped in and announced they would be leasing a vacant courthouse to the Rapid Response Network for a dollar a year. In addition to leasing the courthouse, the San Diego County Board of Supervisors also voted in February to sue the Trump administration over the October policy change. On a tour of the shelter, volunteer Etleva Bejko walked through a series of stations that asylum-seekers are processed through after they arrive in the shelter. After making sure they’re healthy, she explained, one of the most important tasks is getting them situated and letting them know how far they are from where they’re going. “We ask anyone if they have family in California, because that’s the easiest to get to, of course, and they’ll say ‘yes,’ and we’ll ask ‘which city,’ and then they’ll say ‘Idaho,’ so you know, sometimes it’s as easy as just getting together and looking at a map,” Bejko said. On one of the walls of the shelter is a handmade chart with the length of bus and air travel to destinations across the county. Even with the more permanent space secured, the demand on the shelter and its services continues to rise as asylum-seekers arrive in unprecedented numbers along the southern border. “I would say for the last two weeks, the numbers have been more than a couple hundred daily. Pretty high for us,” said Michael Hopkins, the CEO of Jewish Family Service of San Diego, which has led the shelter effort. In February 2018, there were just over a thousand families apprehended in San Diego. In February of this year, that number rose to over eight thousand. The courthouse-turned-shelter can hold 200 people currently, but the coalition and county is working to expand that number.